At first sight, the 2017 version of rebounder looks promising. 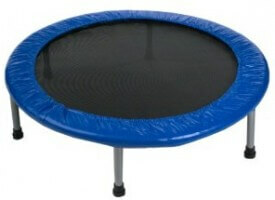 Our first thought was that it definitely had potential and that is wasn’t just a rebranded cheapo mini trampoline. Its simple and sleek lines are coupled with sturdy-looking legs. Let’s talk about its dimensions first. 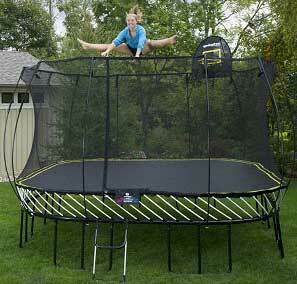 The trampoline is 40” wide, with a usable surface of 28”, similar to the Jumpsport 350. 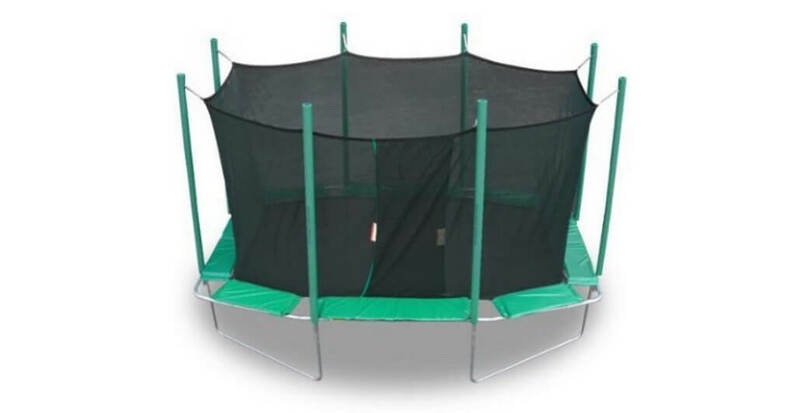 The legs are 8.5” long, so the trampoline can be used in your living room, as the mat is 10.5” above the ground. Width of 40″ is measured to be distance of greatest support & benefit to the user, according to the research. 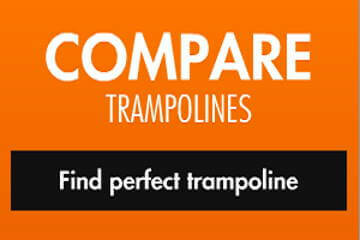 Rust usually is not a problem with these trampolines, as they can be kept inside most of the time. 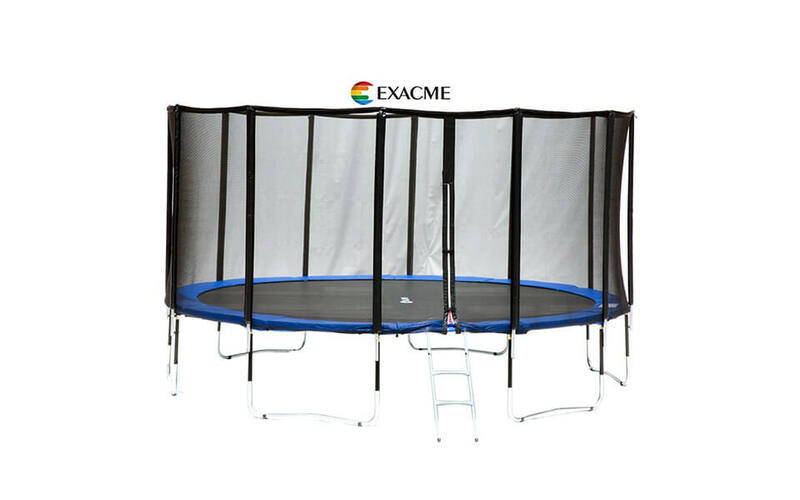 This trampoline is foldable as well (folds in half, like a taco), and can be stowed behind the wardrobe easily when you are not using it. However, you’d be glad to know that the frame is electroplated for rust-protection and so can be left outside if really necessary. The frame is very sturdy and has almost no give, regardless of who’s bouncing on it. There are no plastic materials in it, so because of all-steel design weak points are nonexistent. What’s more, we liked how the springs are not connected directly to the frame, but instead to the steel pins placed into the holes drilled in the frame. It’s not all just marketing babble. The springs in this bad boy are really good. 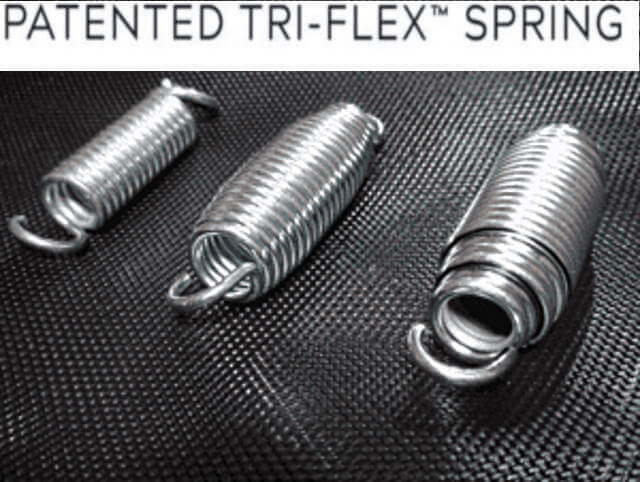 They are triple-tiered hi-carbon springs, more commonly known as tapered springs. This means the springs have three tension levels. 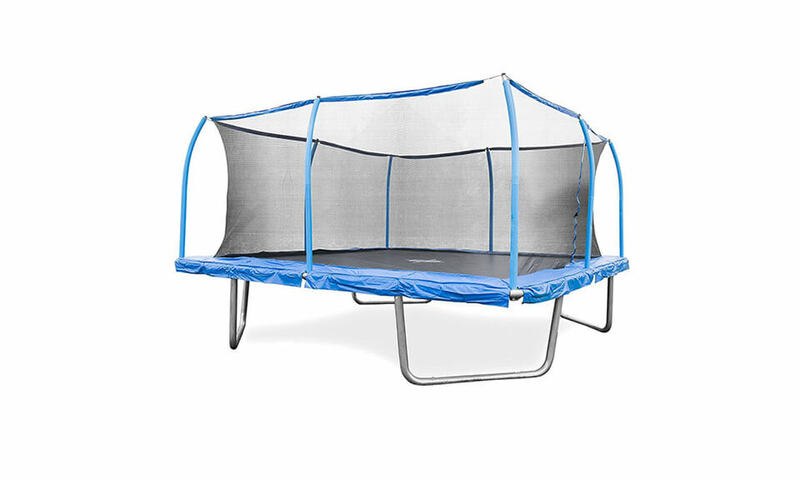 This is adequate for people of all sizes, as those who are fairly lithe will experience bouncing as even as those who are plus-sized, as the springs stretch in a smooth and a controlled manner. 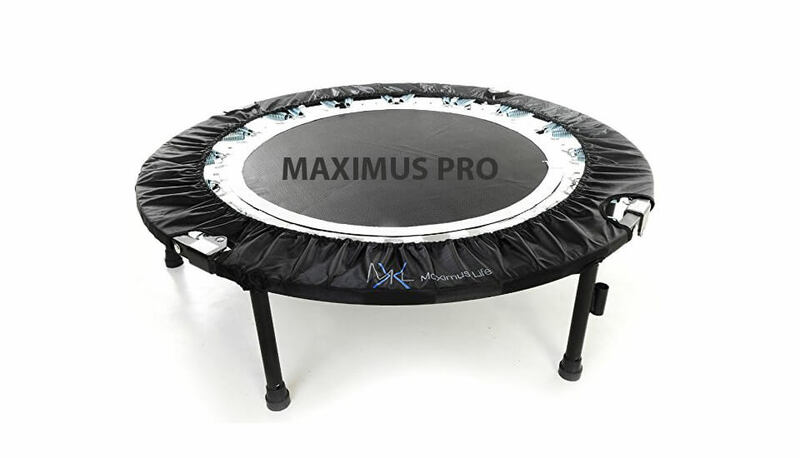 The bounce is not too high, and the maximum bounce height does not (should not) exceed 2 feet. These are among the best quality springs on the market, and once broken in, they will serve you for a long time. There are 106 springs in total. Remarkable! 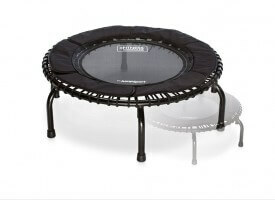 The trampoline is very responsive and firm, just as you’d like from a rebounder. 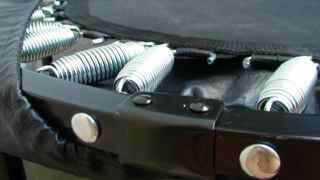 The total weight limit is 300 lbs., and the springs don’t need replacement at all, as per the manufacturer’s website. This should hold true if you keep it indoors. The bounce isn’t exactly the quietest, but there was no squeaking in our model and the loudness is not obnoxious. Adding a drop of oil to the spring ends should prevent squeaking if it occurs. The springs should last longer than bungee cords found in some other rebounders, but the jury is still out on this one. The manufacturer did some work on this, too. The mat is made of strong polypropylene and is UV- and mold-resistant. You may have heard the name of the material – Permatron. 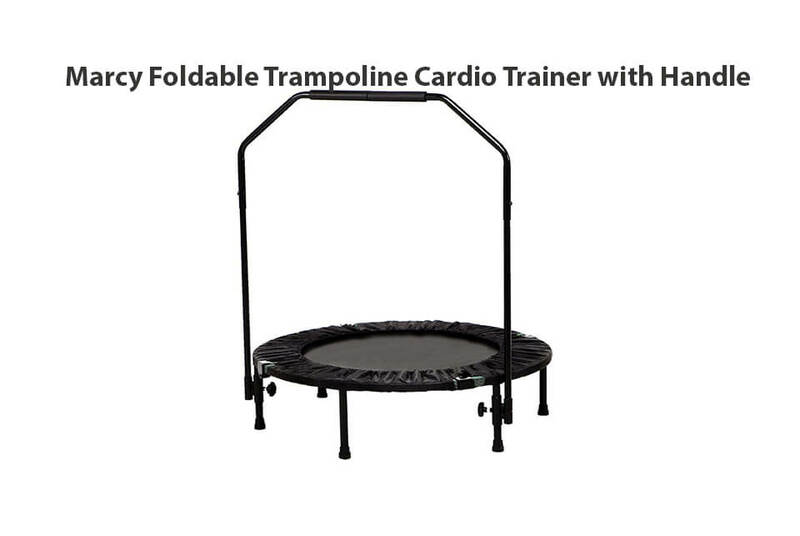 Yes, it’s the same material as in the Jumpsport model 350 rebounder. Interestingly, the claim is that each fiber is put under 200 tons of pressure to create a pleasant texture. The patriots among you will be pleased to know that the mat is manufactured in the USA. This is what this rebounder is all about. 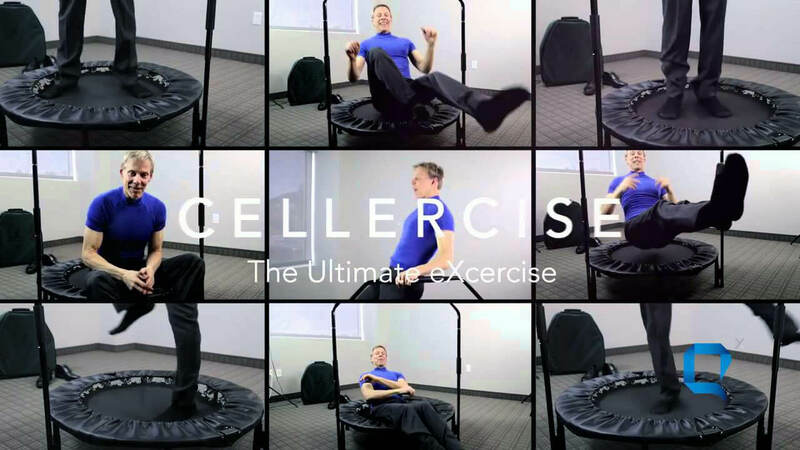 Unlike the other rebounders, David Hall says, the CELLERCISER is leaps and bounds above them. This is, and we quote, thanks to the “space-aged mat” which won’t buckle and stretch, thus keeping you in a perfect position for exercise. So far, so good. Yes, there are rebounders with bad mats that will wear out after use. 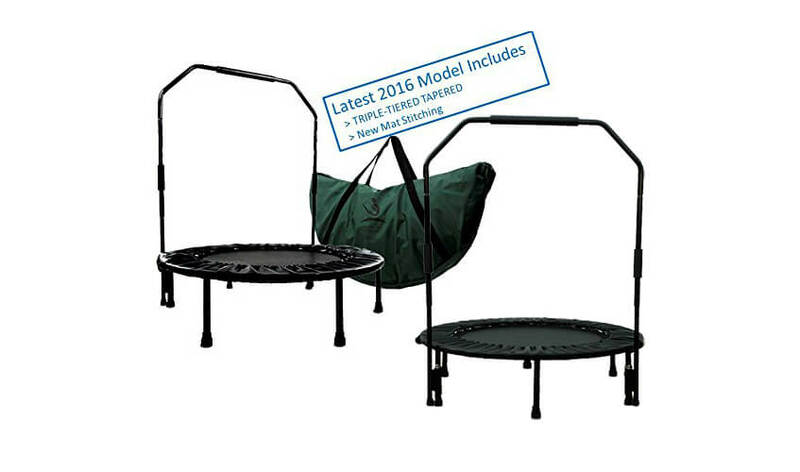 This mini trampoline is not one of these, certainly. Now, if you look at the list of all the things the Cellercizer is good for, it appears as though it can cure your every ailment. It looks very sketchy and almost like a huge scam to our prying eyes. This is very unfortunate, as the product is really, really good. We’ve heard of claims that it’s even good for not getting the flu or colds. Well, certainly exercise does help, but even for marketing babble this is a stretch, honestly. The supposed mechanism of action is that the Cellercizer “increases the weight of gravity on every cell of your body”, which is technically correct but also quite irrelevant. It is plain evident that your body experiences forces when you bounce fast on a rebounder. It’s nothing revolutionary. It’s great exercise, but stating that it will improve your vision? Come on! The same sensationalist tone is also present in the DVDs (you get two of them), but if you can disregard that, it is actually plenty useful with lots of good exercise regimes that will certainly be very beneficial for your health. Just temper your expectations. Rebounding is a great exercise – some 70% more efficient than jogging – but it’s “just that” – exercise; and there’s nothing too magical about it. The DVD will help you get the most out of it. Their website also has plenty of exercises and videos to keep you interested. Along with the rebounder, you get an adjustable stabilizer bar (handle bar) which can be adjusted to three heights. 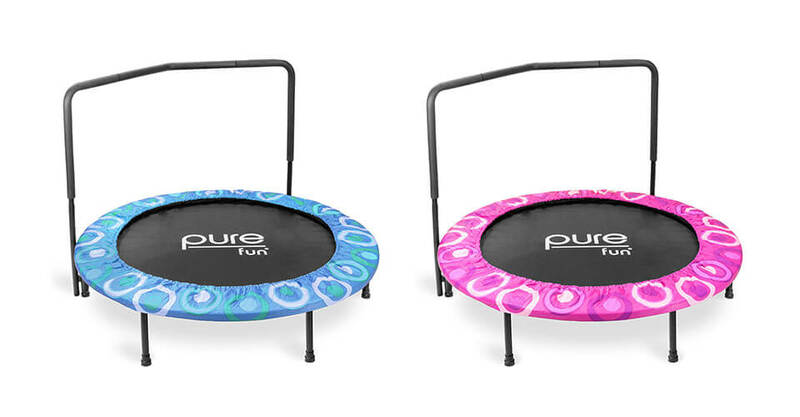 The bar is a tad too high for small children, but they shouldn’t be using these rebounders in the first place – there’s plenty of trampolines made specifically for kids! 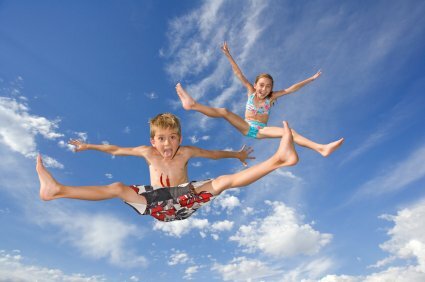 The carrying bag is made out of sturdy material and will keep your trampoline safe when folded away. 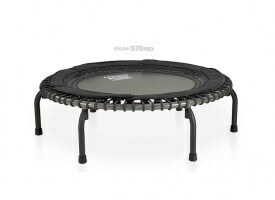 This mini trampoline comes with a 5 year warranty on all parts and a 30 day (some) money-back guarantee (minus a 50$ restocking fee). This is good and shows that the manufacturer has confidence in their products. They also have a phone customer support which is very pleasant and forthcoming. You get two extra springs included in the package, should one of them fail. The instruction manual is very easy to read, and even if you lose it, it is available online (https://cellercise.com/care-and-maintenance/). The balance bar is easy to set up, and the trampoline unfolds in a simple way (but you should have some hand strength, especially for the first few times). The booklet also contains sample exercises and regimes, if you don’t feel like trying out the DVDs. Overall, the package is compelling. 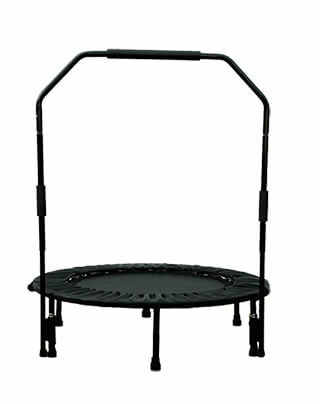 This is one of the best mini trampolines we’ve had the pleasure of testing. You get a great rebounder with high quality springs, frame and mat. There really was no cost-cutting and we were impressed with the overall quality. The DVD and the handlebar are all included, as well as a storage bag. These usually cost extra, but not here. If you don’t buy into the “cellercise” hype (which you shouldn’t) and feel cautious about sensationalist marketing, we hear you. But give this a try, it is a solid product. It’s a premium product at a premium price, but if you can afford it, it’s definitely a good investment. Our recommendation! Fantastic rebounder which will provide more value the more you use it.